Outside may definitely still look like winter, but inside… inside it’s springtime full speed ahead! I’m really excited to share this recipe with you! 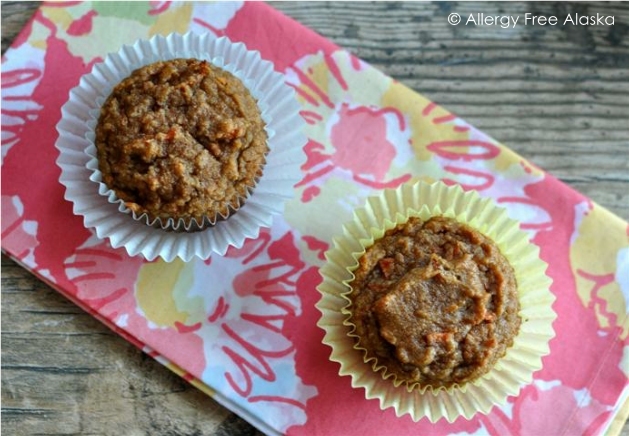 These healthy and Delicious Paleo Carrot Cake Muffins are heavenly. They are moist and flavorful, yet not too sweet or too oily. Perfect for a quick breakfast or snack, and they are 100% kid approved by the Ancheta girls. Oh! And you can thank me later for the instant potpourri. These muffins will fill your home with the wonderful aroma of cinnamon, nutmeg and ginger while they are baking (and who doesn’t love that?). 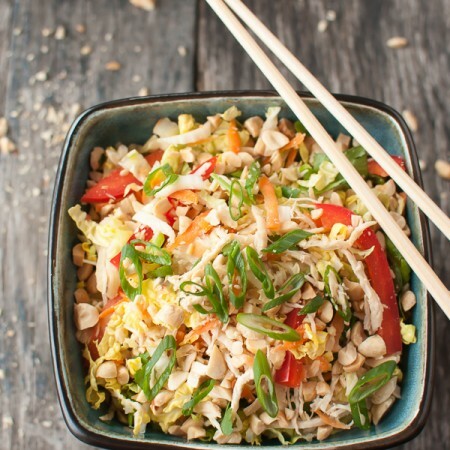 This recipe is linked to Fat Tuesday, Gluten-Free Wednesday, Allergy Free Wednesday, Tasty Traditions, Full Plate Thursday, and Fight Back Friday. Divide the dough into 15 paper lined muffin tins and then bake for 20 – 24 minutes, or until a toothpick inserted into the center of a muffin comes out clean. These look amazing I cannot wait to try!!!!!! Love love love. Will buy almond& coconut flour tomorrow! And share your lovely creation! Isn’t recipe writing, like giving birth through your soul, love it! Oh wow, Meg. These look fantastic!!! Great recipe. These muffins look divine Megan! We just finished three weeks of nonstop guests at our house. I hope I can get back to the kitchen now and start playing around with almond and coconut flours again soon. 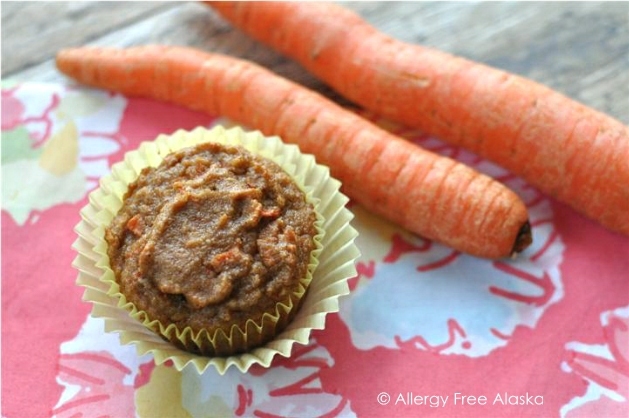 In the meantime, I am going to follow this recipe and whip me up some amazing carrot cake muffins. Thanks pretty lady for another fantastic recipe! Can’t wait to try your recipe. I love coconut oil and flour and use them often! You asked about the weather here? In Wisconsin…Well even though it is spring…it sure feels like weather yet as we just experienced storm Helen and she was ice and rain! Lots of people were with out electricity for a major part of the day. We were one of the lucky ones! 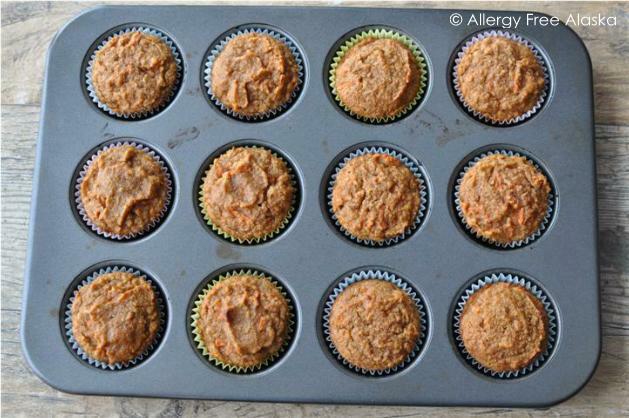 Your Carrot Cake Muffins look delicious! Thank you so much for sharing with Full Plate Thursday and hope to see you again soon! Can these be made with egg replacer? Looks delish! Thanks for sharing. No, I’m afraid using egg replacer will not work in this recipe. Ok, that owl mug is absolutely adorable! I gotta get one for me and my owl-obsessed girlfriend. Where did you find it? Do you know the company/brand? Thanks Megan! I live in the DC area. Sorry I can’t visit the tea and spice shop – I could have done some major damage there! Thank goodness for Amazon! OMGG–Oh My Good Golly!!! These are super tasty…just took them out of the oven. Thanks for the great recipe. You are welcome! I’m glad you enjoyed them, Nikki! Making them again. Using fresh carrots out of my garden and doubled the recipe this time. These were soooooo good!!!!! These look wonderful. Could this batter be baked in a 9in. round pan as a gluten free cake? Hi Helen! I’m not sure because I haven’t tried baking it in a cake round. I just made these and they turned out fantastic! Followed the directions and ingredients except I didn’t have apple sauce so I grated a 3/4 cup of fresh apple with skin. Thank you for the recipe! I have been missing breads and these muffins have satisfied me completely. I had some organic carrots left over in the fridge and did not know what I was going to do with them, it was not an option to throw them into the trash, so I went to the web just to look for recipes and I came across yours. I grated those carrots and ended up with 8 cups so I took and used my foodsaver to vacuum seal 4 bags, 2 cups each and placed them in the freezer, I love the smell of spices such as cinnamon, nutmeg and ginger in the fall, it just makes the home smell so good and what makes it even better I already have all the ingredients in my cabinets so I can’t wait to make these, thanks for a great recipe!!!! You are so welcome, Christine! 😉 Enjoy them! 2. Are the muffins supposed to be oily on the outside? I love that they are super moist from the inside. Thanks a lot again for sharing this recipe – these are my favorite for sure! 1. Unsweetened applesauce! Thank you so much for catching that and sorry I wasn’t clear (I’ll go back and update my directions). 2. They will be a little oily on the outside, but shouldn’t be overwhelmingly so. Almond flour baked goods tend to be a little bit more on the oily side – this is because of the natural oils found in the almond itself. Thank you so much, and you’re VERY welcome! Hi Megan! I stumbled on this recipe while searching for a healthy paleo muffin recipe, and I’m so glad I found it and your blog! I’m currently eating a mostly paleo diet as part of my journey to heal my gut and recover from chronic fatigue. I’m always very interested to hear other people’s stories of regaining their health through dietary changes and I’m so happy to read how diet has helped you. Anyway, I made these muffins last night and they were fantastic! I look forward to trying more of your grain-free recipes! Do you think I could substitute pumpkin or banana for the applesauce? Or do you have other suggestions for skipping the applesauce? My house can’t have apples, due to FructMal. Thanks – I would love to make these. I would think pumpkin, banana, or even pear puree would possibly work (but I haven’t tried it myself). 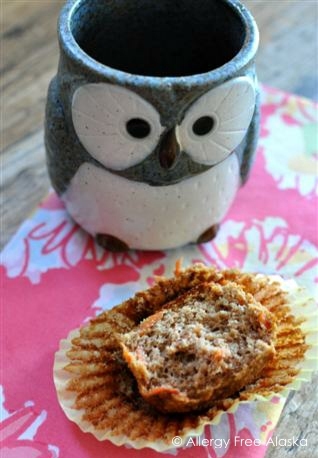 I have replaced applesauce in other muffin recipes with chia gel with happy results! Yes! You can replace the applesauce with a banana. I didn’t have any so I had to sub a banana and it turned out amazing! That’s awesome! Thanks for sharing, Amanda! I wouldn’t recommend replacing the almond flour in this recipe. Almond flour acts much differently than a typical gluten free flour. It’s very high in fat, so there would be other compensations you’d have to make to convert this recipe to almond flour-free. I think you’d be better off finding another recipe already written as gluten-free (not grain free). ;( Sorry!! The weather here is insane just sitting out tropical cyclone “ita” in Cairns, Queensland Australia. I made these yesterday and they were delicious! Came out just like the picture, and even my 8 1/2 year old daughter loved them! My husband ate 2 for dessert. 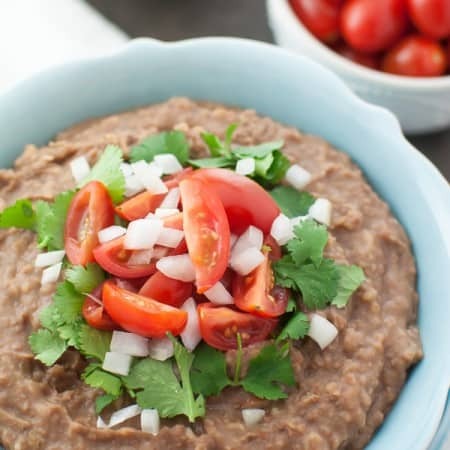 Its a great recipe that actually works and looks like your picture! Many Thanks!!! 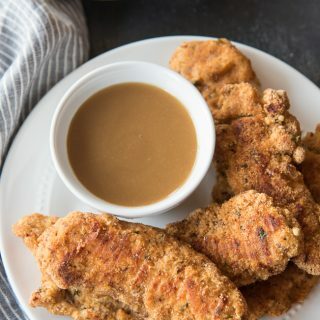 I’m still very new to Gluten Free and this recipe looks amazing! I can’t wait to try it. Right now I’m staying off of all sugars, including Honey. If I substituted the honey with Stevia, how much would I need to use? I don’t recommend making these without the honey. Honey not only helps bind the ingredients together, but it provides moisture. Removing it from the recipe would result in very dry, nearly non-edible muffins. 🙁 If you need sugar free, I recommend you look specifically for recipes written using stevia. You might try my friend, Ricki Heller’s, website. She has several recipes using stevia. I know this is an older recipe but I just found it via Pinterest. I made these last week for Easter and they were a hit even with the relatives who usually eat regular carrot cake. The kids enjoyed them so much we are making a double batch tonight and plan to freeze some to have on hand later. Thanks so much for sharing!!! These were so good! I substituted out the carrots for a mixture of sweet potato, orange and carrot pulp that I had left over from a juice I made. They took care of my sweet tooth and allowed me to use food that normally gets thrown away! Can i make this batter into a cake? I’ve never tried it before, so I’m not sure if it will work or not. after purchasing all of the ingredients i discovered that the place where i was baking did not have a muffin tin…so i did what any good baker worth their weight in almond flour would do…i improvised…and converted the recipe to a loaf! it was incredibly good! i only modified the baking time for an additional half hour. i baked it in a standard loaf pan. this was amazing! it was certainly moist, however. had i known the moisture content would have been so high i would have used only 1/2 c of applesauce, but, nonetheless, it was great. the moisture content was balanced out perfectly with a superior crust! These were wonderful- moist and tasty! I replaced the almond flour with raw almonds that I ground in the the food processor. Gave the muffins a really nice crunch. We juice regularly and I save the remains of the carrots in the fridge in a zip-lock bag. That’s what I used instead of grated carrots. Thanks for the recipe. Will definitely be making these again! Hi, do you think I could use maple syrup instead of honey? Thanks! It’s a snowy day here in the blue ridge mountains and I stumbled upon this amazing recipe! The flavors are perfect for a special treat or alongside my morning smoothie. Thanks for posting! Can these be frozen? How should they be stored? Thanks so much.